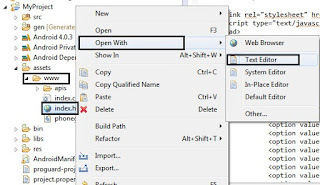 -> We will use the default hello world application, if the back button is pressed then there will be a dialog box displayed whether to close the application. Step 1 : Create a new Application. Click on File->New->Android Application Project. 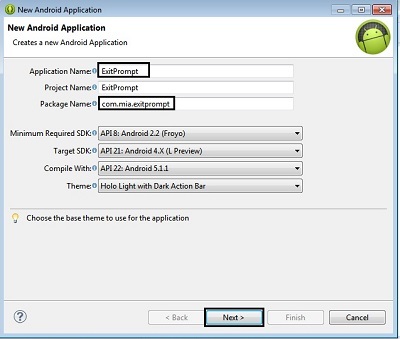 Step 2 : Give a name to your application (ExitPrompt) and package name as (com.mia.exitprompt). Click Next continuously. 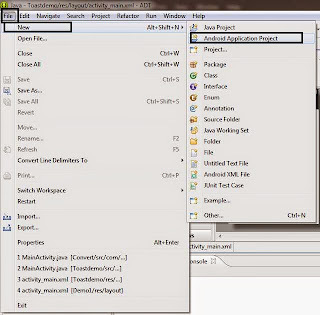 Step 3 : Open MainActivity.java from src->com.mia.exitprompt. Step 4 : Run the application. 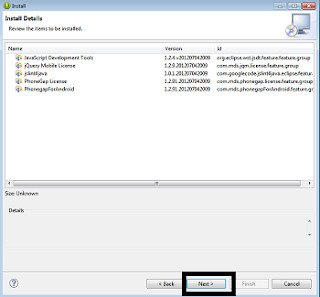 Press the Back button after the application is started. We have prepared an AlertBox. Using the setMessage() method we set the text to be displayed in the alert. setCancelable(false) is used to tell the compiler that the alert box is not exited implicitly. 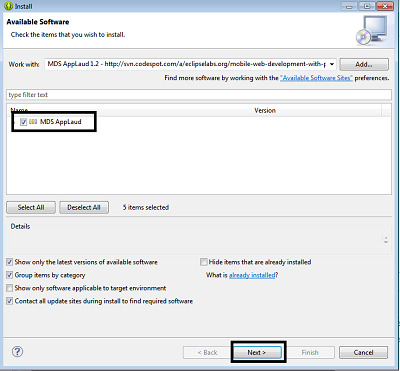 The positive button (yes) is used to exit the application by using finish() method. The negative button (no) is used to be in the same activity by doing nothing inside it. 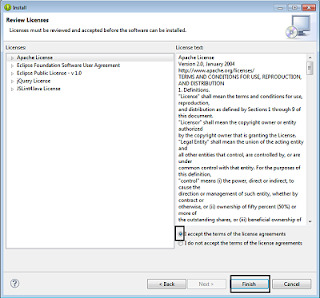 So you have downloaded the applaud plugin by following the previous post. 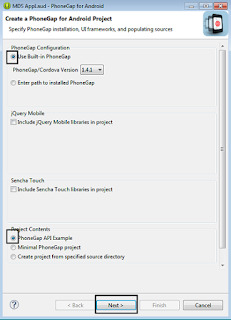 -> We will learn how to run the default phonegap (cordova) app which covers all the functionality of phonegap. 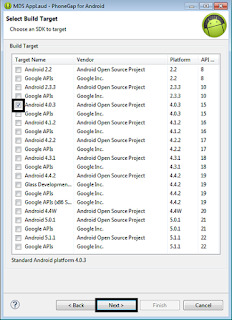 Emulator of API 15 or above. 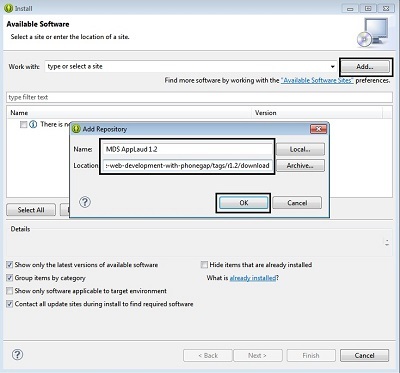 Step 1 : Click on the applaud plugin installed from the previous post. 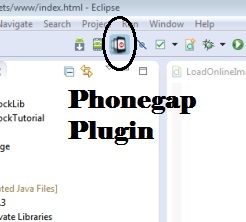 Step 2 : You can use built-in phonegap which is upto v1.41 but if you want a higher version download it from phonegap website and merge it with the plugin. 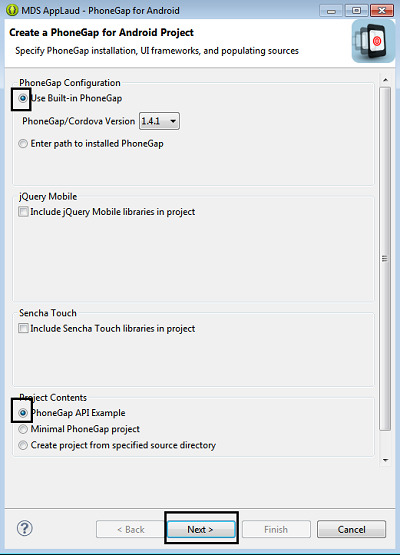 Choose Phonegap API Example. Then click Next. 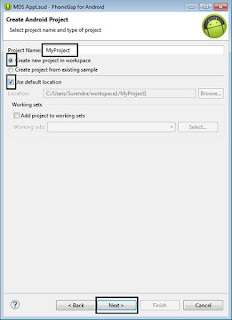 Step 3 : Give a name to your project as MyProject and click Next. 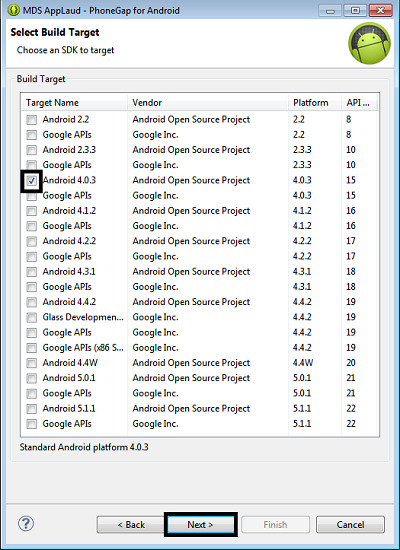 Step 4 : Choose the Target Android version to compile on and click Next. Choose API 15 or above. 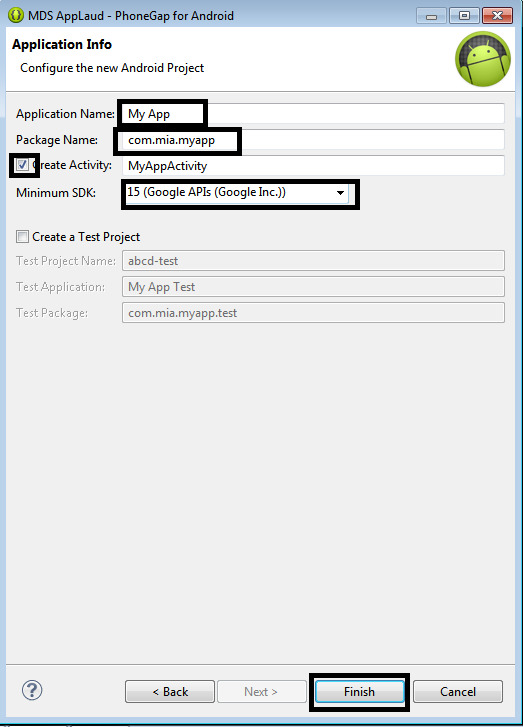 Step 5 : Give a name to your application as My App and package name as com.mia.myapp. 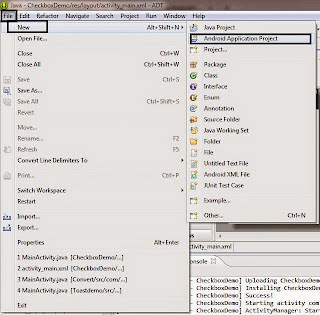 Check Create Activity (else you will get NullPointerException) . 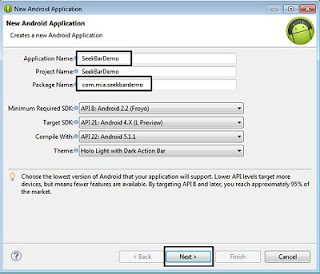 Choose Minimum SDK as API 15. Click Finish. 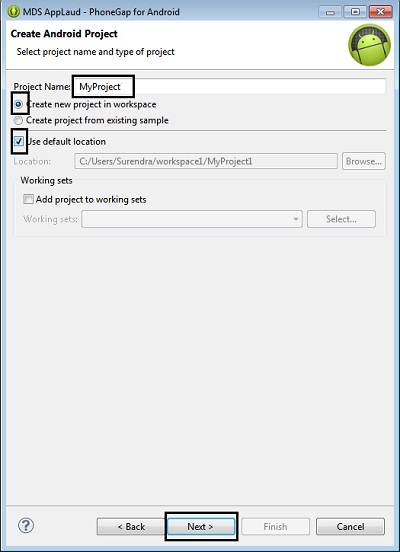 Step 6 : MyProject will be formed in the Project Explorer. Check for index.html in assets->www folder. 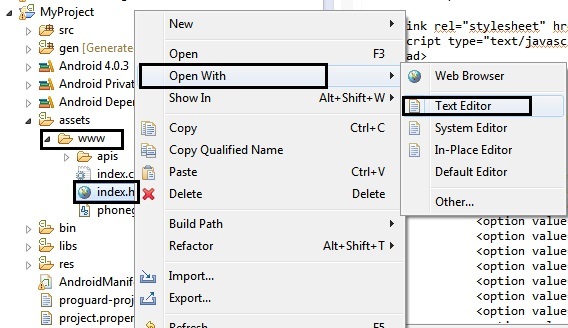 You can modify it by Right-click on index.html->Open with->Text Editor. Step 7 : Run app with emulator support above API 15. 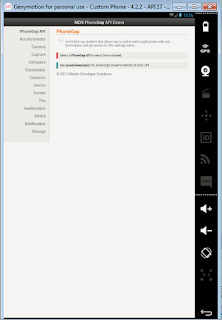 You can check features of phonegap like Camera, Compass etc. 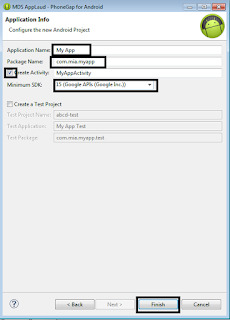 You do not have to write commands to make your phonegap (cordova) application, you can use this plugin to directly create your phonegap application with a single click. 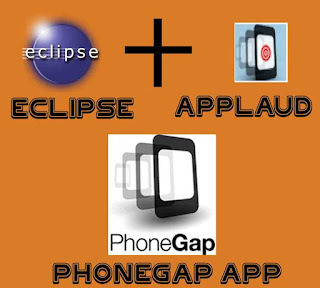 -> We will install Applaud plugin in eclipse so that you can create your phonegap application with just a click. 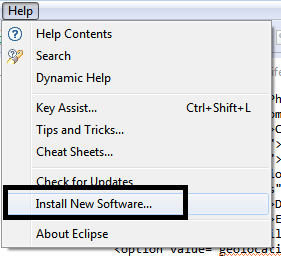 Step 1 : Start your Eclipse. 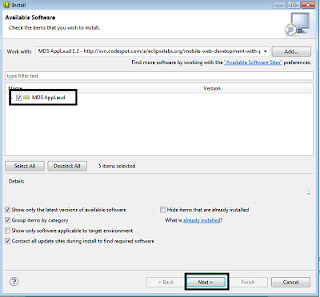 Go to Help->Install New Software from the menu-bar. Step 2 : Click on Add. Give Name as MDS Applaud and Location as shown below. Step 3 : Tick on MDS Applaud and press Next. Step 5 : Click on "I Agree.." and click Finish. Step 6 : Check the progress in the Progress Bar. Then Restart Eclipse. 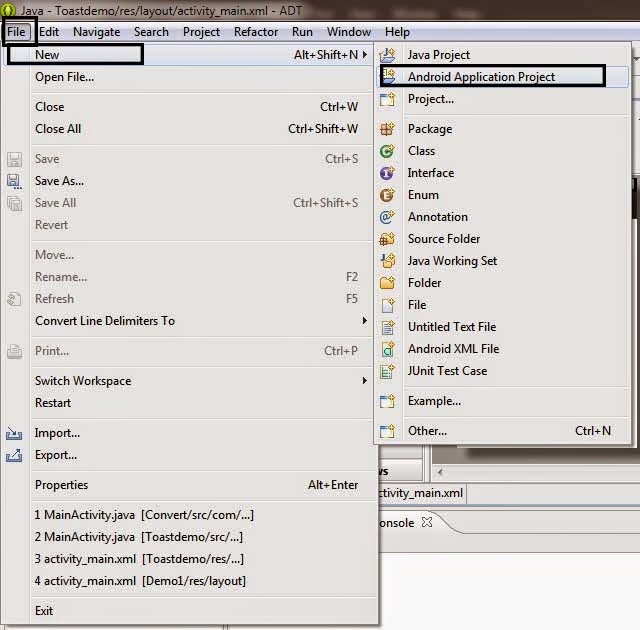 After restarting eclipse you will see the plugin on the toolbar. 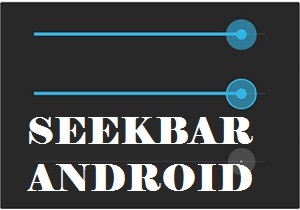 -> We will build a Seekbar in our application. A Toast will be used to get the value of the seekbar. Step 2 : Give a name to your application (SeekBarDemo) and package name (com.mia.seekbardemo).Click Next continuously. 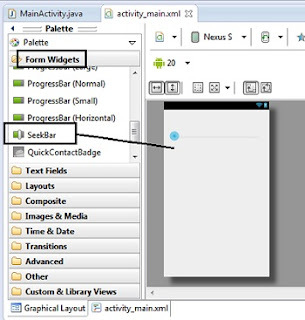 Step 3 : Drag SeekBar from Palette->Form Widgets in activity_main layout. 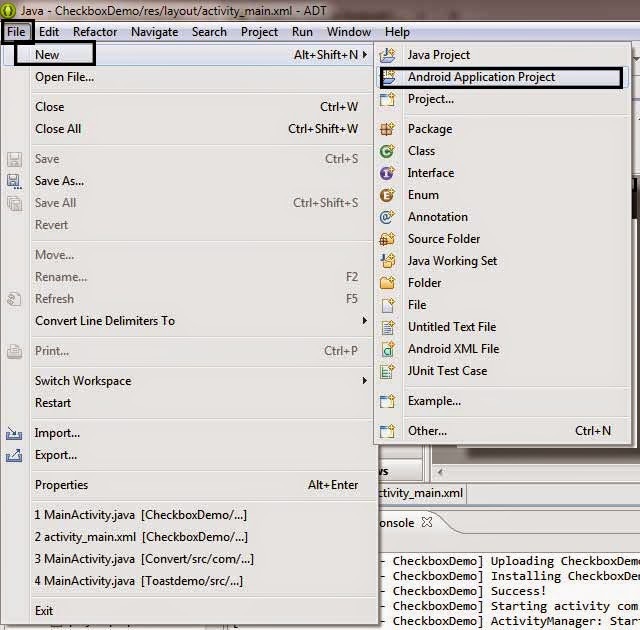 Step 4 : Open MainActivity.java from src->com.mia.seeekbardemo in Project Explorer and copy-paste the code shown below. 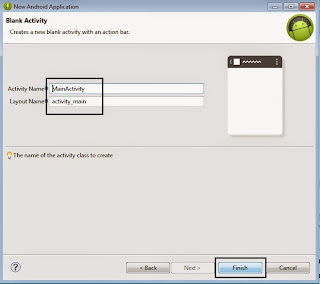 We make a variable of class SeekBar named seek using findViewById() method which connects it to the widget in activity_main.xml with id as seekBar1. 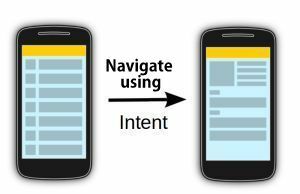 We define the method setOnSeekBarChangeListener() which overrides its default functions which are onProgressChanged(), onStartTrackingTouch() and onStopTrackingTouch(). Then we make an integer variable named count and initialize it to 0. This variable will keep track of the progress of the seekbar. Inside onProgressChanged() we give the value of progress variable defined by default in the method parameters to our variable change. 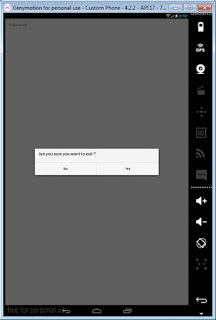 Inside method onStopTrackingTouch() we define what should be done after touch action is carried out. We display a Toast with the value of change or progress which varies from 0 to 100 by default. We will learn to navigate to a new page by clicking on list item. I will consider a Custom List from the one of the previous post. -> We will make a list with some items. When we click on a list-item we will traverse to a specific page. Note : we will edit the project from one of the previous post of Custom List. 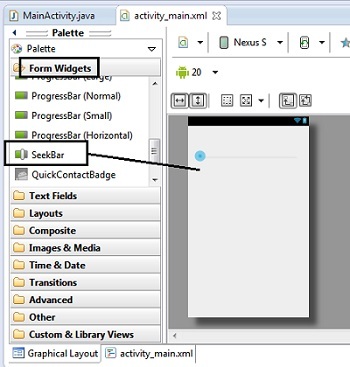 Step 1 : Add a android xml file in res->layout folder and name it as activity_jaguar.xml. Right Click on layout->New->Android XML Layout. 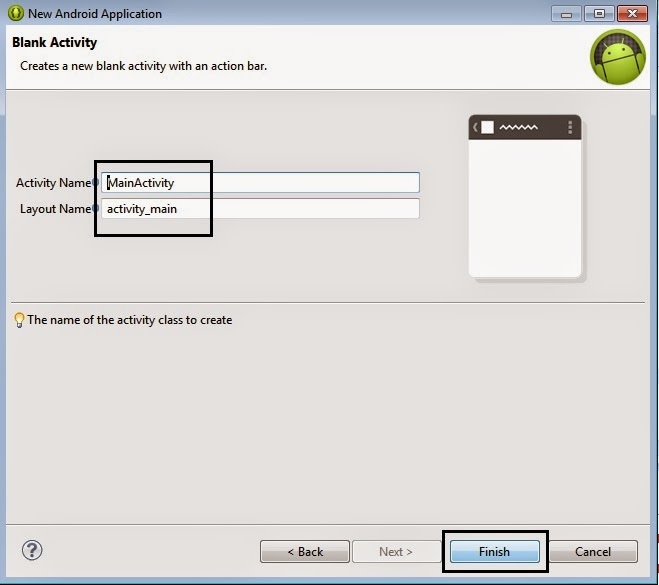 Step 3 : Go to MainActivity.java from the previous post. Remove the toast at the end lines and replace it with Intents. Right now I will connect only the second list item(Jaguar) with one page (Jaguar.java), the other list items will return a toast as before. 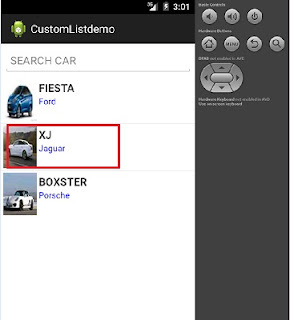 Step 4 : Open AndroidManifest.xml and add activity of Jaguar class as shown below. At line 162 we have made a variable jClass of type Class and stored location of Jaguar Class there. Then we made use of Intent to reference this(MainActivity) class with Jaguar class. 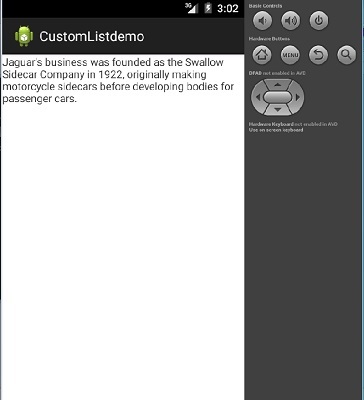 We have just added a new Activity of Jaguar class.